Technicolor – company, chemical process, aesthetic. The word is part of our common lexicon, representing the bright, the luscious, an effervescent burst of colour. It transformed the look of Hollywood cinema, and, due to its high costs and complicated use and development, became a prestige product, akin today to IMAX. With no sizeable competitor for almost 20 years from the launch of the three-strip process in the early-mid ’30s and the arrival of the far cheaper monopack Eastmancolor in 1952, Technicolor reigned supreme in its time. Its patents were so locked down that no one could compete, and the company had its contracts allow its representatives creative control of lighting on the set of major studio films. At its height, Technicolor was as big a name as Universal or MGM. 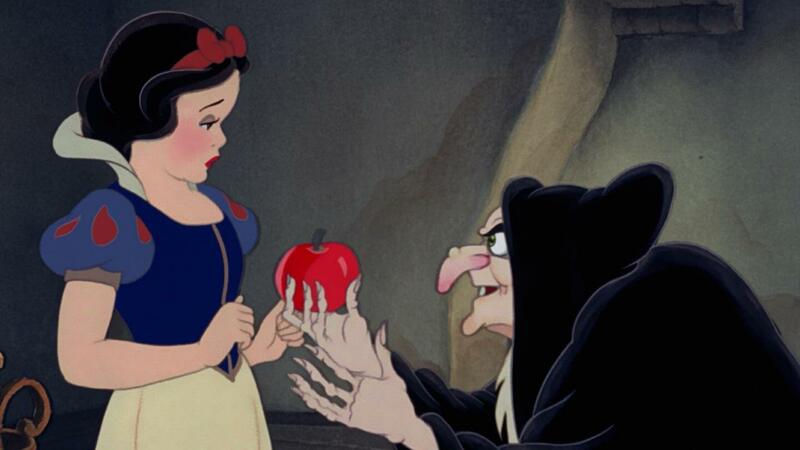 Now celebrating 100 years since the company was founded (although it made little impact until two-strip Technicolor emerged in the mid-’20s and did not become an iconic term until 1937 saw the dual release of Snow White and the Seven Dwarfs and A Star Is Born), Technicolor has a withered role in the industry today, but its name still carries that unmatched prestige. At the Museum of Modern Art, a summer-long series of Technicolor classics is currently running, and is the highlight of the season for most New York cinephiles. Programmed by Josh Siegel, ‘Glorious Technicolor: From George Eastman House and Beyond’ has some 80 films on show, mostly 35mm presentations, representing the earliest incarnations of Technicolor to the final three-strip films made in the U.S. in the mid-1950s. While the series opened with La Cucaracha (1934), the opening night presentation was a breathtaking 35mm print of The Wizard of Oz, the film best positioned to be the standard-bearer for Technicolor. 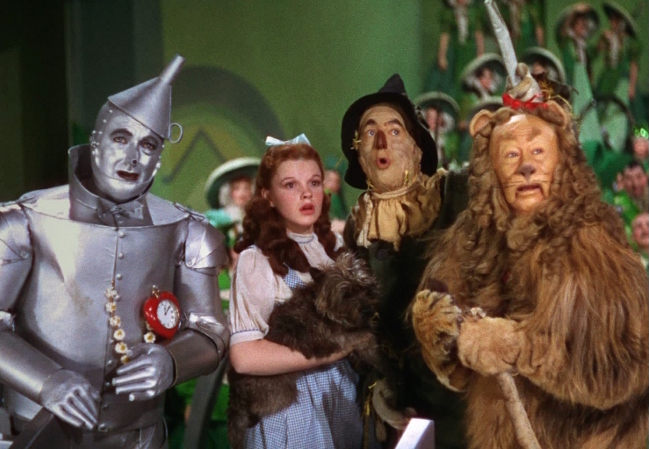 Oz is the ideal Technicolor film, creating a brightly coloured otherworld, but entirely within a studio, where the hulking Technicolor cameras could be best controlled to capture the choreographed action. 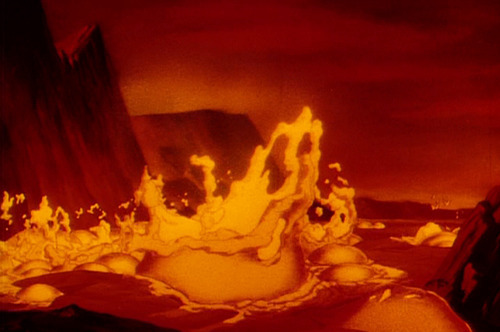 Better still, that infamous transition shot from the sepia prologue to the dreamy Technicolor land of Oz is the perfect ambassador for the process, capturing in one shot what Technicolor brings to cinema. Beyond that, the film is actually surprisingly subtle in its use of Technicolor (its also way way funnier than you remember, go revisit that asap). 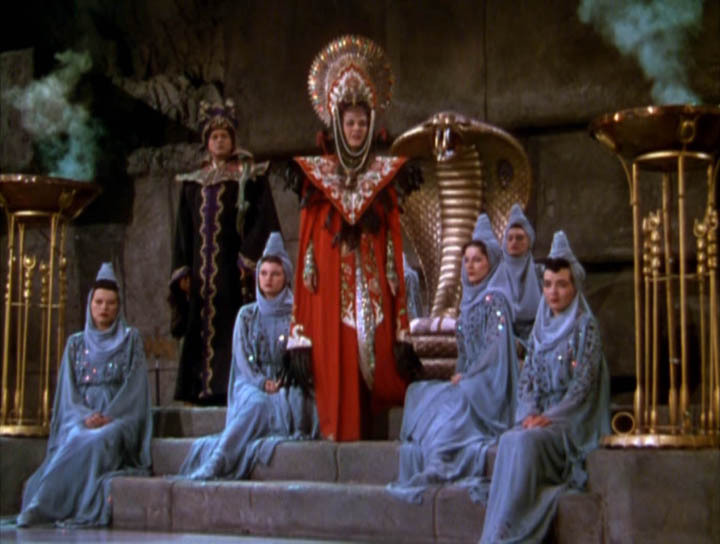 The four leads are all dressed in pastels, dull earth tones, and silver, none of which (ruby slippers aside) are colours that pop in Technicolor. Because of this, the Land of Oz itself bursts forth, with its yellow road, and emerald city. The Munchkins’ town is all browns and greens, but when the Munchkins themselves emerge they are all dressed in bright reds, royal purples and deep blues. The Technicolor hits all the harder for the restraint shown. If The Wizard of Oz represents a fantastical magic of the Golden Age of Hollywood, then Gene Kelly represents the pinnacle of Hollywood star power, a different but equally wondrous kind of silver screen magic. A Gene Kelly double bill took place at MoMA on June 20th, made up of his two greatest movies, Singin’ in the Rain and An American in Paris. Perhaps unwisely screened in that order for those double-dipping (Singin’s energy is locomotive throughout, while American dips in its final act but demands the awakiest of attention for its final Gershwin ballet, so drowsiness was inevitable), the two films showcase Kelly’s finest dancing, choreography, and comic chops, as well as the full glory of detail in Technicolor. Singin’ in the Rain (I won’t discuss the story, you’ve already seen it. You have seen it, right? RIGHT?!) is relatively subtle with its use of three-strip at first, mostly waiting until ‘Beautiful Girl’ to show off its full range of colours as used in some horrendous 1920s fashion. But its Kelly’s glorious ego trip, the Broadway Melody sequence, that blasts the audience’s eyes with Technicolor like David Bowman travelling through a flamboyant Stargate. 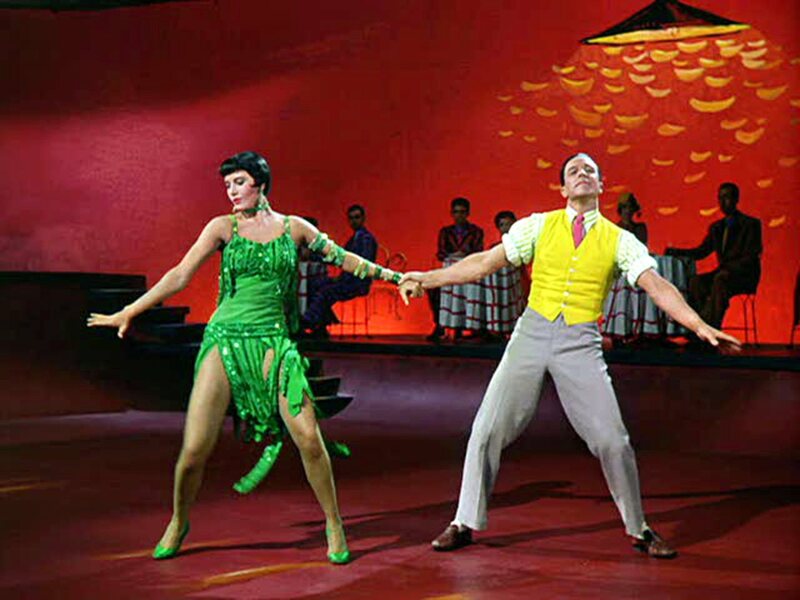 In its central dance number, there’s a divine fusion of colours, with the crimson background, Cyd Charisse’s emerald green dress, and Kelly’s pink tie and waistcoat so yellow it’d put a canary to shame (“It’s so yellow, I think I’ll kill myself,” a canary is said to have remarked at the film’s premiere). By comparison, An American in Paris is far less showy with its colours (although far more showy with its ballet). Where the Technicolor really shows off is in the final scenes at the masked ball, where everyone is dressed in black and white. 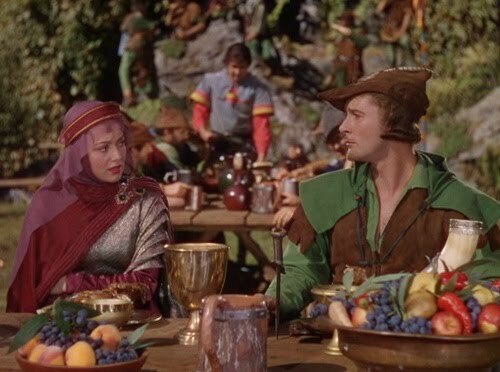 More so than any other colour process (including and especially digital), Technicolor gets blacks truly black, giving the scene a rich checkerboard look. It is one of the oft-forgotten ironies of the name Technicolor that black and white are two of its strongest colours. A Douglas Sirk double bill was less successful, for a few reasons. 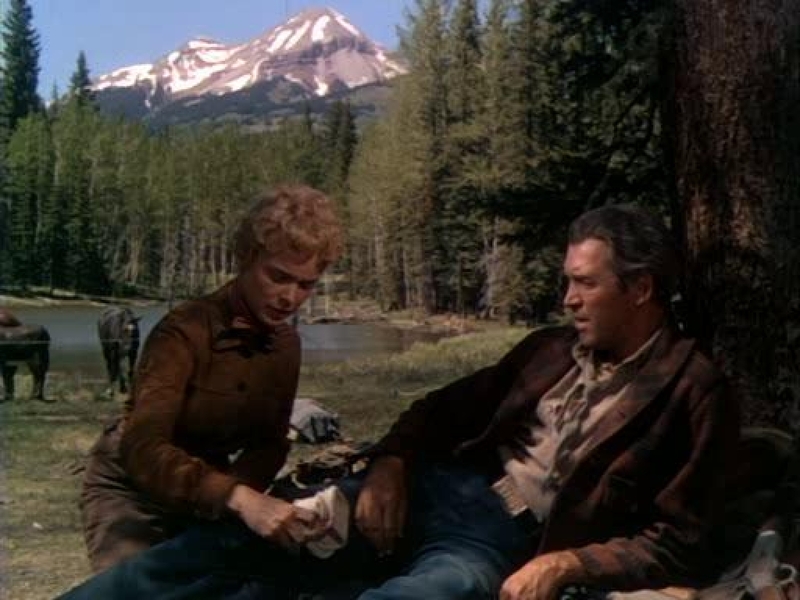 Certainly his two most famous Technicolor films (All that Heaven Allows and Written on the Wind) were absent – Imitation of Life is Eastmancolor – so the choice of Magnificent Obsession and Captain Lightfoot seemed perhaps unwise. 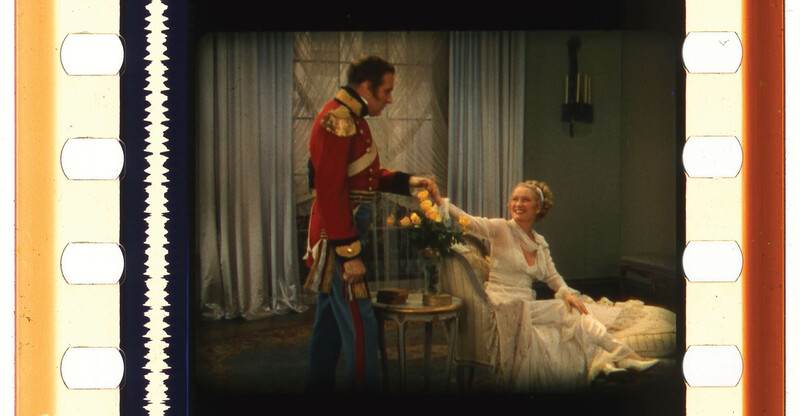 One of the great benefits of Technicolor is that the imbibition process used to stabilise the colour dyes has the effect of keeping the colours as they should be seen far beyond that of other film processes. Eastmancolor, by comparison, has been notorious for the colour fade in prints even within a decade of being struck. But no film is immune to physical damage, and the print of Captain Lightfoot MoMA presented had seen better days. 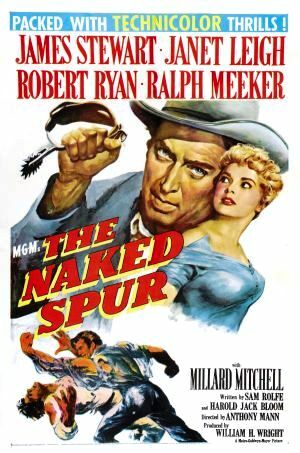 The film itself is tremendously difficult to take seriously, with Rock Hudson trying his best brogue as an Irish highwayman who joins the Republican cause in the early 1800s. It regularly forced this Irishman to suppress giggles, while the final 20 minutes features more unnecessary plot twists than any film should have. The film was actually shot in Ireland, a country whose grey skies and greyer buildings don’t quite lend themselves as advertisements for glorious Technicolor, making it all the more curious a choice for the series. Sirk is a filmmaker it took me a long time to come around to, until Written on the Wind helped me crack the code of his particularly brand of camp. I was loathe to give Magnificent Obsession another chance, but this time its melodrama-on-steroids and hysterical religious undertones actually worked for me, overall. 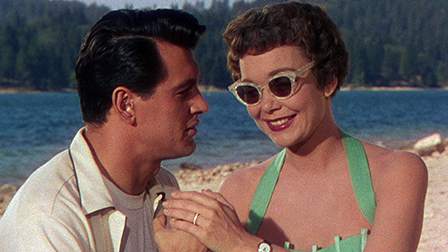 But it’s far from Sirk’s brightest and most colourful work, with only small details in flowers and dresses blooming properly in Technicolor. What’s more, the print appeared to be quite heavily water damaged, distracting often from the cinematography (and occasionally garbling the soundtrack). In a series of numerous highlights, this was one of the few letdowns. Rouben Mamoulian was the first filmmaker to shoot a feature in Technicolor (1935’s Becky Sharp), and his 1941 matador melodrama Blood and Sand is a fine example of his flair for colour cinema. 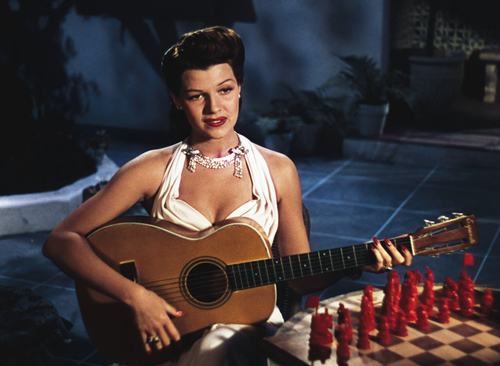 (Although of his best movies were in black and white, no contest) Used to great effect in illuminating the costumes of Spain, and for highlighting the white gowns and red lips of arch-seductress Rita Hayworth, Technicolor is curiously not used to pronounce the reds in blood, until the final, groan-inducingly unsubtle last shot. 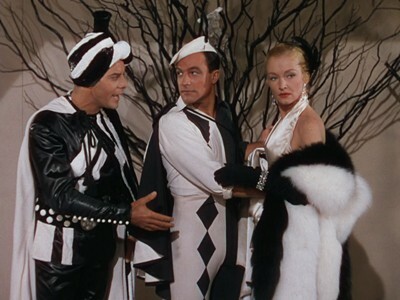 But if there was any surprise to demonstrate what Technicolor can do when masterfully deployed, it was Vincente Minnelli’s 1948 musical The Pirate. Yeah, don’t worry, I hadn’t heard of it before either. The film, a charmingly slight comedy of mistaken identity, shown at MoMA in a spectacular print, would be largely forgettable if it weren’t for its stars, Judy Garland and Gene Kelly. The pair, especially Kelly, show off everything they’ve got, while faking chemistry in a way that actors have since forgotten how to do. 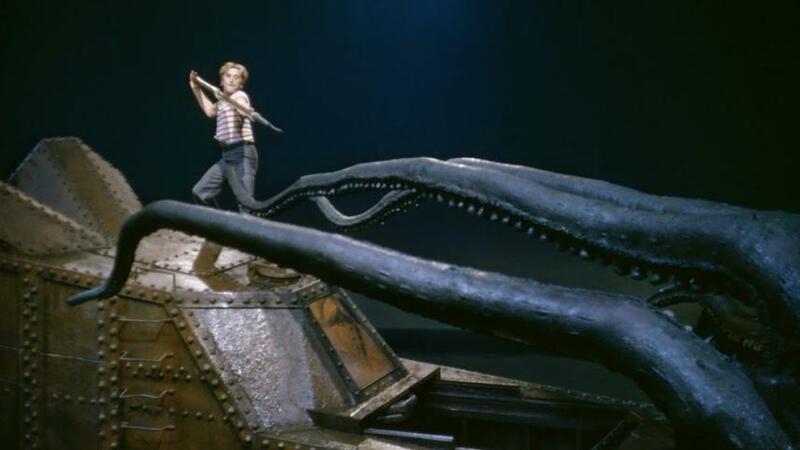 But the highlight of the film comes in its fantasy ballet, when Garland imagines Kelly’s womanising actor as a marauding pirate. Kelly, his legs limber trunks beneath his tiny black shorts, proceeds to dance, pillage and murder, in front of a glaring sky lit up in Technicolor red. On the big screen, on a glimmering print, it’s an intoxicating sight to behold. 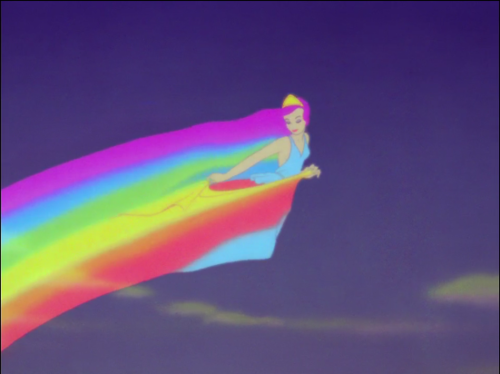 Continuing for another month, ‘Glorious Technicolor’ still has a plenty to offer, and will culminate with a series of unmistakable classics from the early days of Disney. It’s the sort of film history kick that reminds cinephiles why we love the movies, and for those whose hearts still prefer celluloid to digital, a chance to get your yearly fill of 35mm in just a few weeks. One of the most affecting moments of the series came before the opening night screening of The Wizard of Oz, when Josh Siegel made a few welcomes and thank yous while clutching a tiny girl in his arms. His daughter, not yet three years old, was there to see a film on the big screen before. Murmurs of terror rumbled through the audience at the thought of the tiny tot being scarred forever more by melting witches, flying monkeys, and effeminate manlions, but sure enough when the lights went up she was still there, and still awake. Chances are she may never remember the experience, but seeing The Wizard of Oz on the big screen, on a 35mm IB Tech print; that’s not just being introduced to the movies, that’s how lifelong love affairs with cinema begin.